Poll: Do you like doughnuts? 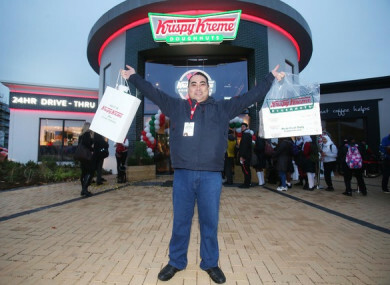 People living close to the newly opened Krispy Kreme outlet in Blanchardstown have reported a constant queues of cars. SINCE THE OPENING of the new Krispy Kreme outlet in Blanchardstown last week, local residents have witnessed chaotic traffic scenes which they have described as a “nightmare”. People in nearby apartments have reported constant queues of cars and drivers who frequently blow their horns and chant as they queue throughout the night at the 24-hour drive-through. In a Facebook statement, Krispy Kreme said that it was aware of the traffic issues and was taking steps to resolve the problem, including asking drivers to stop beeping. But can a good doughnut justify the traffic? So we’re asking: Do you like doughnuts? Email “Poll: Do you like doughnuts? ”. Feedback on “Poll: Do you like doughnuts? ”.